I love trains! And I especially those of the LEGO Train variety. Having just received the LEGO Cargo Train for my birthday, I’ve been researching the cool stuff people have been making for their train sets. This was one that made me remember two of my old train sets. Flickr user LEGO Lucas has created this magnificent Magnet Swing Crane for loading and unloading pieces around the track. It seems to be based on the Caterpillar 312D in train configuration. Can see this being a very useful addition to any LEGO Train setup! The more recent version was 2010’s LEGO City Level Crossing 7936. 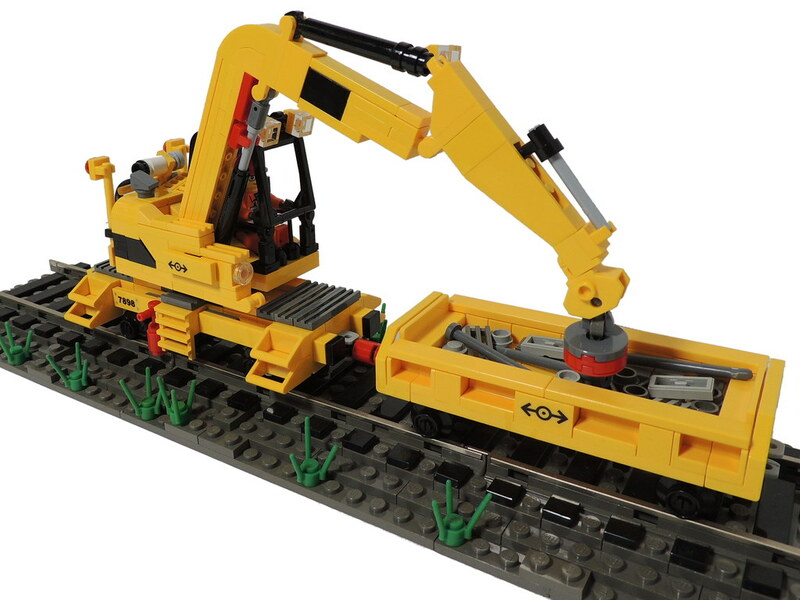 This set gave you an excavator that could also switch between road and track mode, but also included a level crossing – something any LEGO Train setup needs! Rummaging through my old LEGO Train stuff the other day I found my original Level Crossing 7834 so I’ll be seeing if I can make that work with my Cargo Train soon!